Twin brothers Kenneth and John Radar remember their Dad’s fascination for cereal. He was always scouting out the most recent offering. As a college student at Syracuse University, Kenneth noticed that students ate a lot of cereal. He also noticed that everyone had their own taste in cereals. 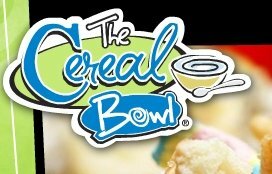 Why not create the “Starbucks of cereals”? He wrote a business plan for his idea that won competitions. That gave him the encouragement he needed. He teamed up with his brother, along with life-long friend Michael Glassman, to put the business together and arrange for financing while the three young men finished graduate school. Upon completion, they launched The Cereal Bowl! Their first store opened in Miami in February 2006. It serves college students, business people, and families. Give Me S’more, which is a mix of Golden Grahams, Coco Puffs, Graham Bites, marshmallows, and chocolate milk crystals. Ruby Nut’s About You, a blend that includes Honey Nut Cheerios, Grape Nuts, walnuts, almonds, pecans, and cinnamon. They also offer combinations made with oatmeal as well as yogurt parfaits, granola bars, Rice Krispies Treats, and their own version of a smoothie, made with sorbet and oatmeal. It’s a very simple business – they don’t have to cook anything. They only need a burner to make hot cereal. Yet their customers love it! Business is as healthy as many of the items on their menu. They have worked on perfecting their prototype store over the last couple of years. Now they’re planning to test their concept in a kiosk. They also have started franchising, with one store on the drawing board and more to come. They believe they can expand their chain to at least 200 stores in the next few years. These young men have become the champions of breakfast!